Mummy Of 3 Diaries: Drayton Manor Hotel’s got a Brand New Child Concierge! 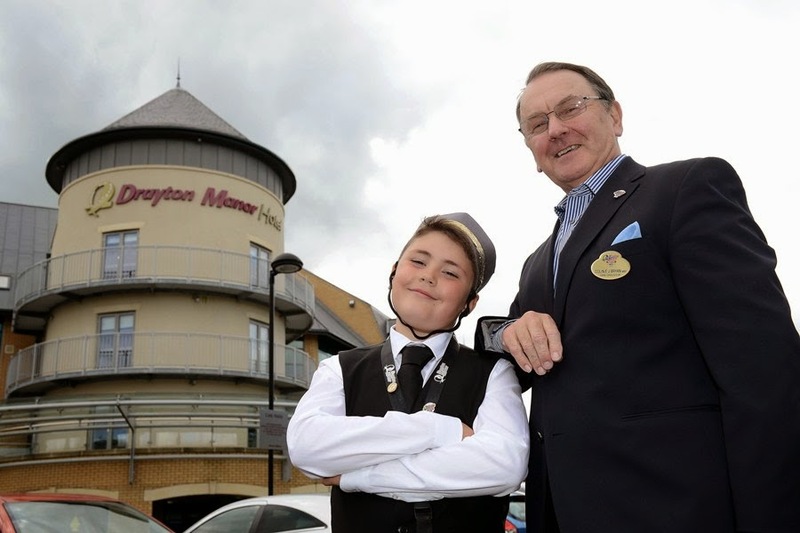 Drayton Manor Hotel’s got a Brand New Child Concierge! I'm very excited to tell you that we are now Official Drayton Manor Ambassadors which means we'll be bringing you all the latest news and updates from the park. Our first post of news is a fun one and we're happy to be telling you all about what's going on. As Drayton Manor Hotel gears up ready for next week’s half term holidays, it's very excited about welcoming it's latest addition to the team – the UK’s first child hotel concierge! 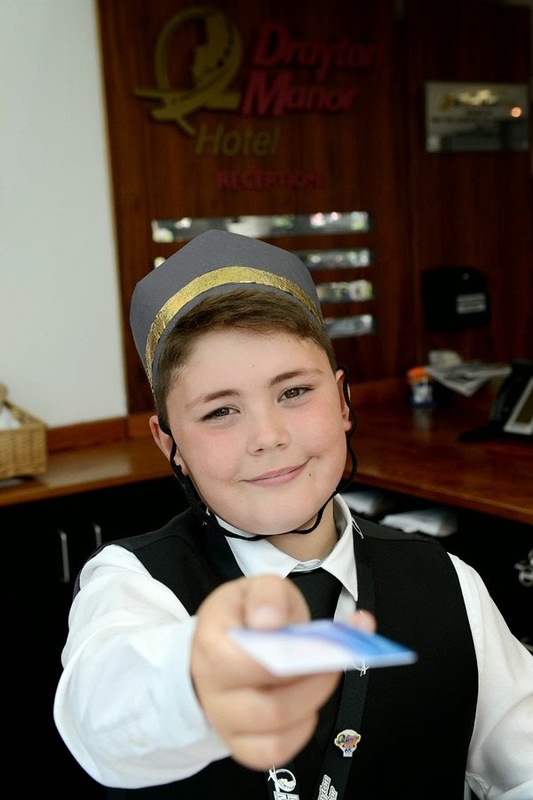 9 year old Noah Reeves-Walters, from Kidderminster, will don his mini concierge uniform and take up residence in the four-star hotel’s reception on selected dates throughout the Whit week half-term (25th – 29th May). He'll be on hand to answer questions and assist any younger guests with their visit and day out at the theme park to make it the best experience ever. Any fun facts or unusual questions your children may have, Noah will help give them the answers. Whether it's 'where to get the best ice cream in the park' or 'what to eat to stop feeling sick on rides' or even 'where to sit on Stormforce 10 for the best soaking' – Noah will be the boy with all the answers to set them straight! Noah said: “I love Drayton Manor Theme Park, but it’s always the adults who give out the advice, so I thought it should be the kids who get to ask their questions for a change." It looks like Noah’s going to be rushed off his feet this half-term. For further information about Drayton Manor Theme Park or to pre-book discounted entry tickets visit www.draytonmanor.co.uk or call 0844 472 1960. For regular updates and news about Drayton Manor Theme Park you can Follow them on Twitter and Facebook. For more information about the hotel or to book your stay, you can visit www.draytonmanorhotel.com or call 01827 285551.